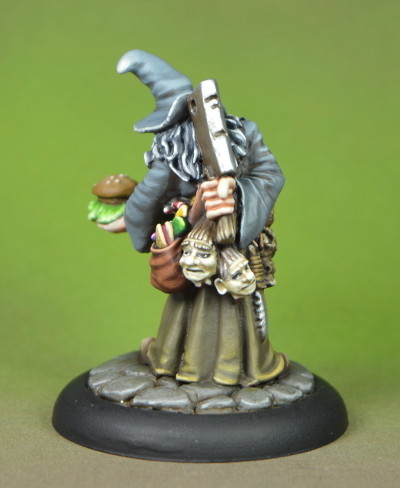 Floedebolle´s Undead Warband GD Winner painted! Thanks mommy, and sade, jap, i do use them, why not? Its just minis, and i really wouldnt spend all that money just for looking at them, the boys want to go where the action is! Knowing what Simon's painting costs, you're a braver man than I am. He painted up some old Citadel lead for me a while back, but I'm afraid that they'd get dinged during the rough and tumble of Mordheim. 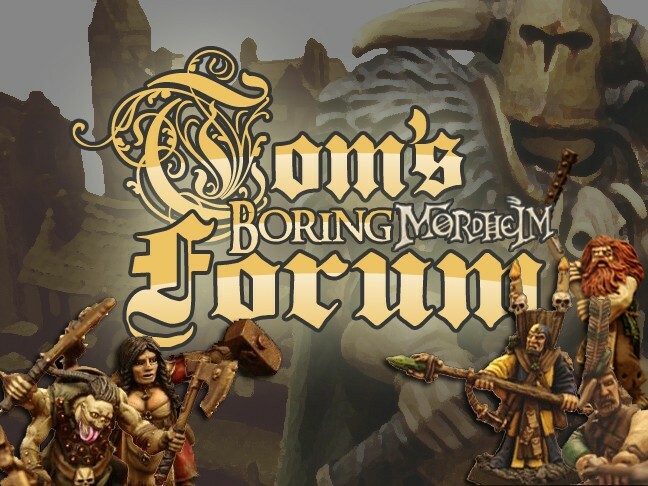 Know exactly what you´re talking about, but hej, even if some of them would get "Hurt" during a tough mordheim high level fight, think i would just send them to him again on the end of the year for doing a touch up. In the end, miniatures are things of use, at least for me, and while they are Out of order, they can relax in the cabinet. HEAR! HEAR! All Toy Soldiers have the inalienable right to be played with...or at least that's my spin on the thingy. I saw those Bretonnian Boys over on L.A.F. AND somehow I knew they were for you. Simon does have an unmistakable style. Enjoy gaming with the Lads; they are VERY WELL DONE! Very nice. Love seeing the old models, especially well painted versions. thanks al and kurst, the minis will get there chance soon, against mommy possessed. Beeing my oldest warband and most experienced, they really deserved a decent paintjob. Well, wish them luck, hopefully we rumble on the 20th of may, battlereport after! COOL! I have it marked on my calendar...this of course speaks volumes as to my social life. I have not commented here yet. Oh my god. 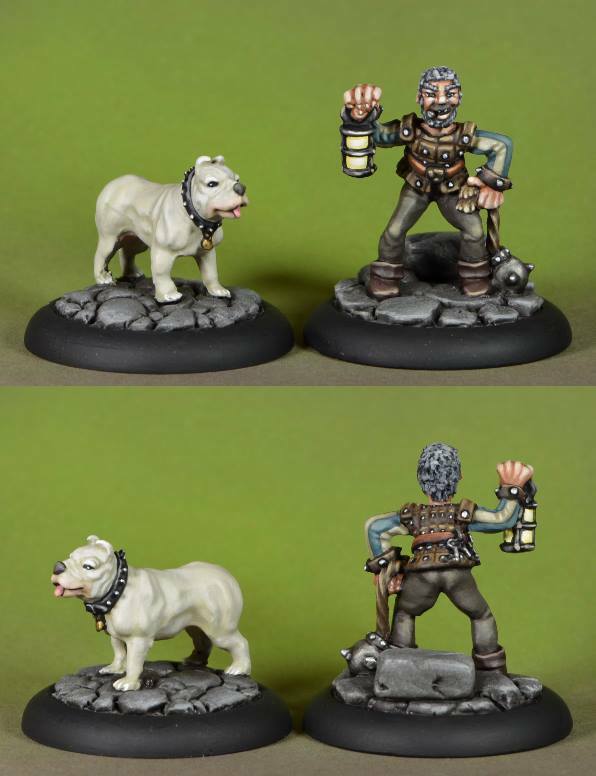 These minis and these paint jobs are so awesome! The possessed may be a worthy opponent. ha, let them come, but what a fight i would be against skavenblight's dwarfs of yours, looking forward to it! 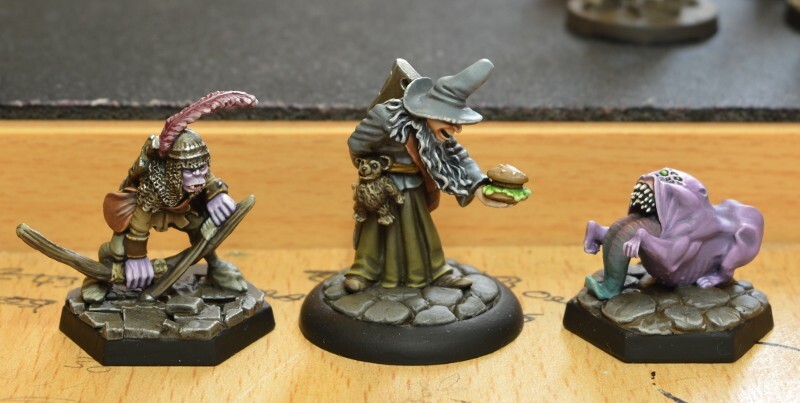 had some minis laying at simons, so, here they are, a upgrade mini for the dreg, a puppet wuffy for the vampire and the burger wizard is the warlock version for the reiklanders, enjoy! 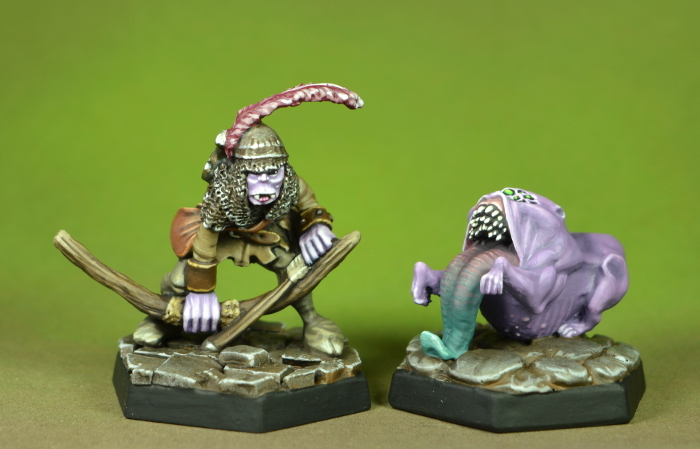 All three are very exceptional minis with a fitting paintjob. Where is the dregg from? 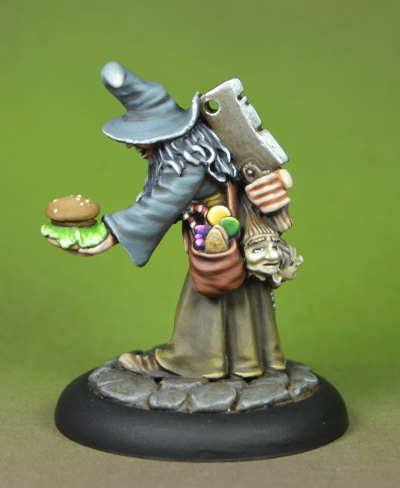 The Wizard with the burger & axe is WONDERFUL. The others are wonderful in less silly & more subtle ways. 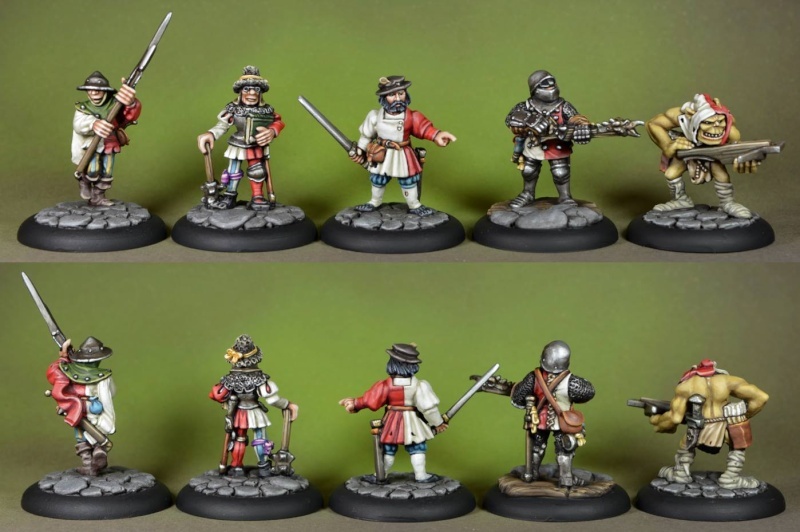 You can always tell Simon B's work by the muted palette...GREAT minis & VERY NICELY painted. He guys, received some more pics of simon wich i like to share,m enjoy! 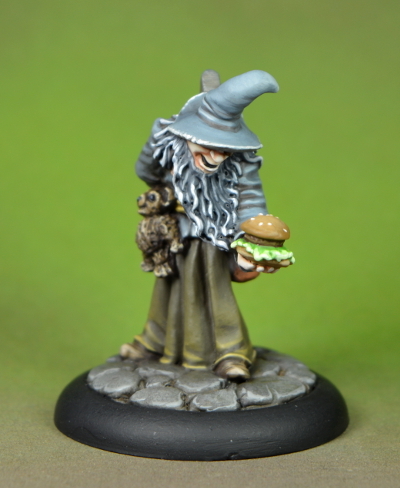 By the way, the henchman is n old preslotta halforc by citadel, the hound is figone, and the burger wizard is citadel. 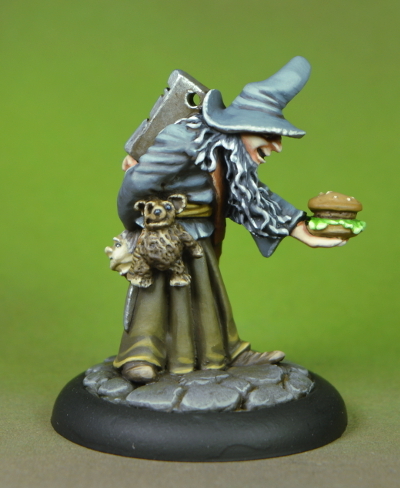 The Burger Wizard tells a story all by himself! 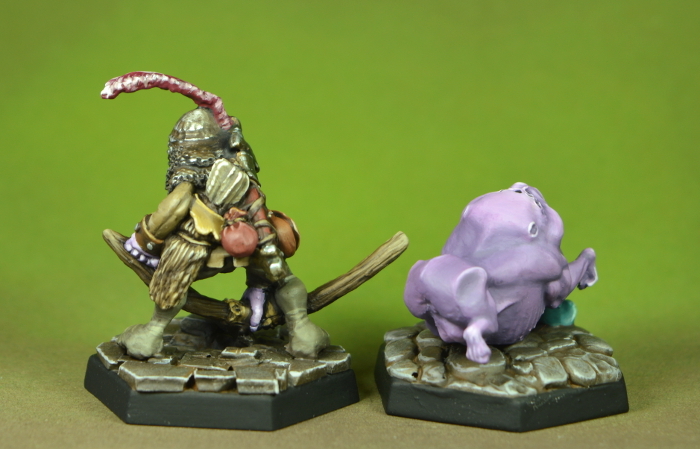 The Wizard & the Lavender Ugly work WONDERFULLY together. OUTSTANDING WORK!  Subject: Re: Floedebolle´s Undead Warband GD Winner painted! 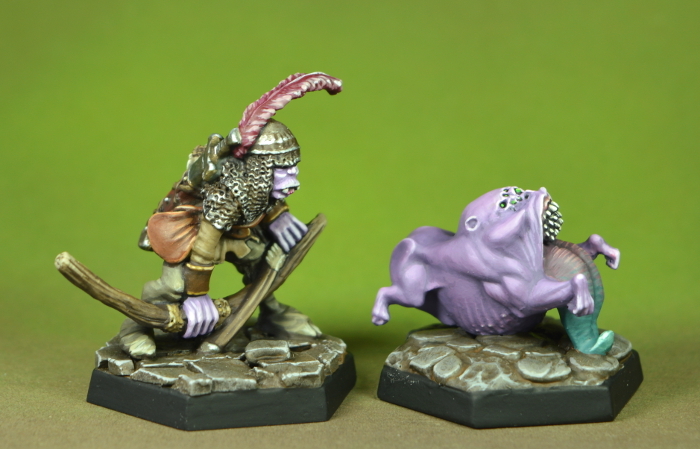 » Floedebolle´s Undead Warband GD Winner painted!